Magic Show | Fine Arts, -Magic Entertainment at RA Puram. 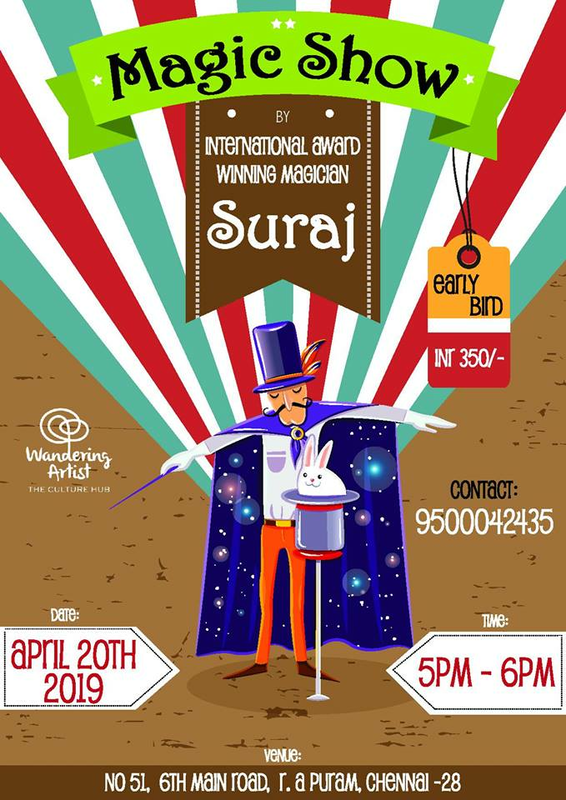 Experience the Magic by International Award winning Magician Suraj at Wandering Artist! Open to all!